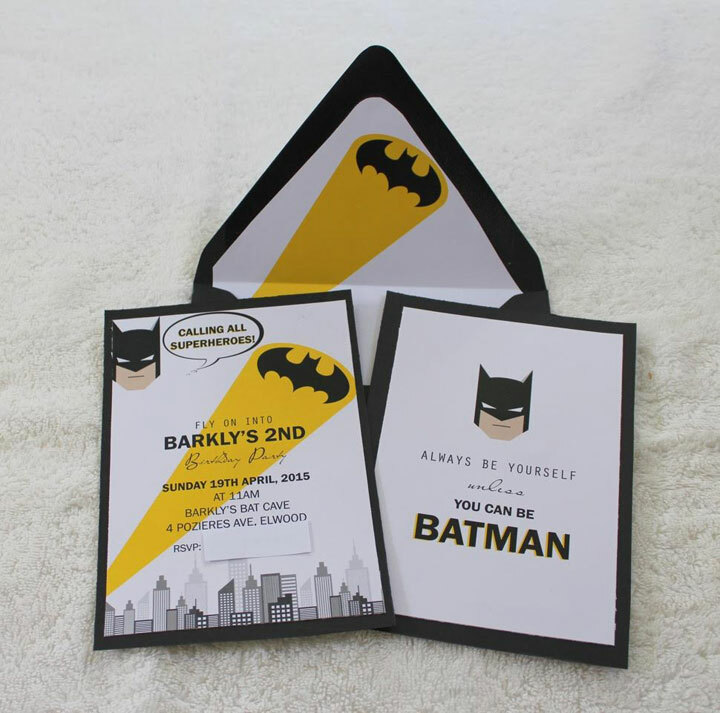 Pip from Sprinkle With Style approached me about doing a Modern Batman Theme for her son’s birthday. 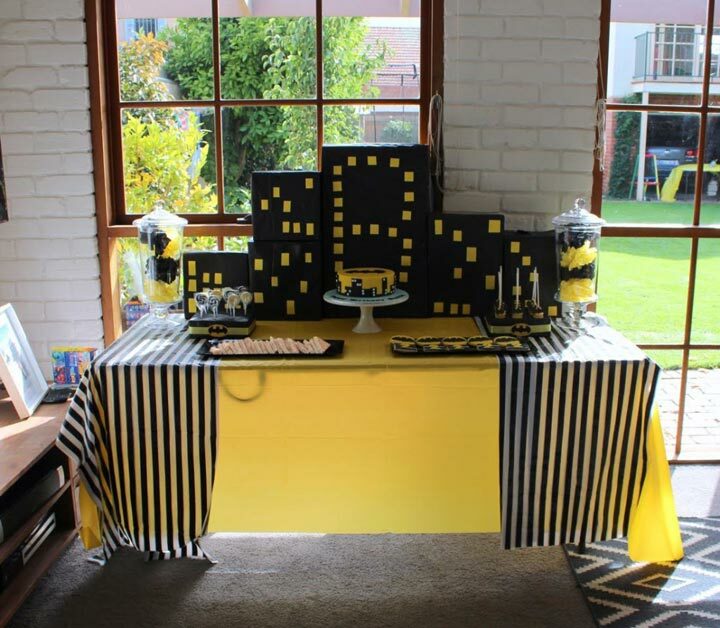 She knew exactly how she wanted to style the party so we combined our skills and this party set up was the result. 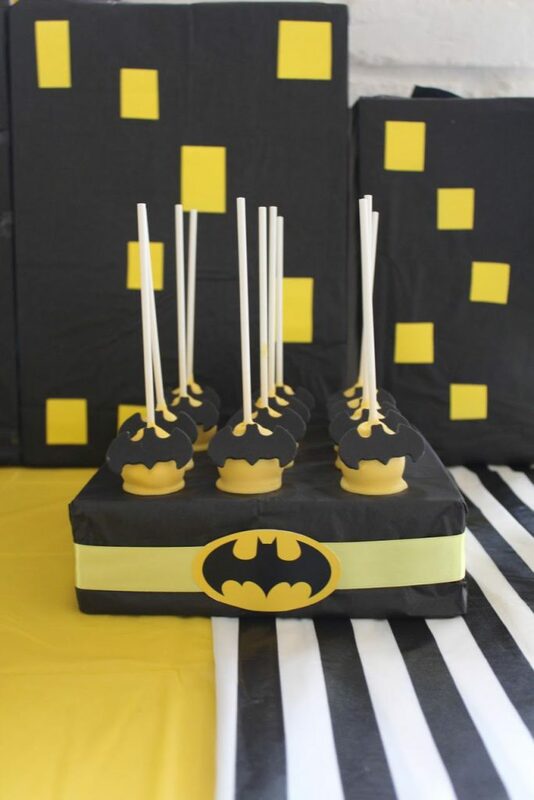 I think it looks great and I had so much fun with this unique style that I decided to use it for my son’s birthday – it was a huge hit! 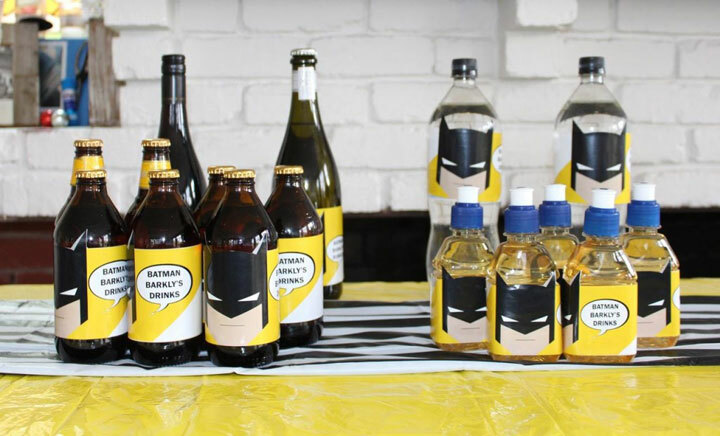 Matching Modern Batman Beverage and Water Labels personalized by my customer. 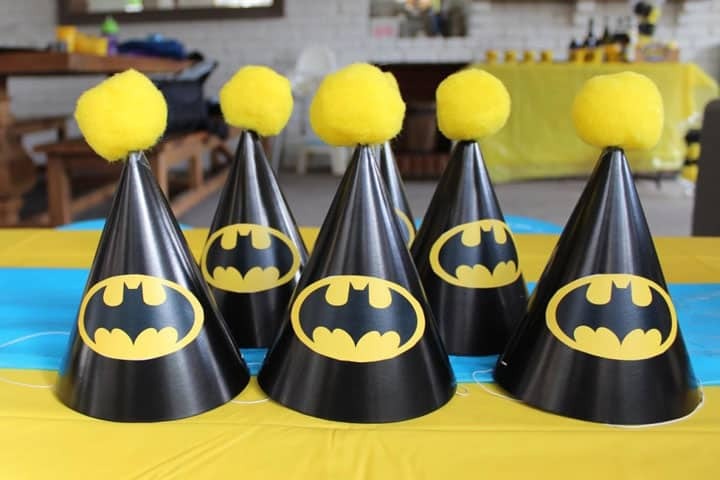 Matching Modern Batman Logos placed on the party hats. 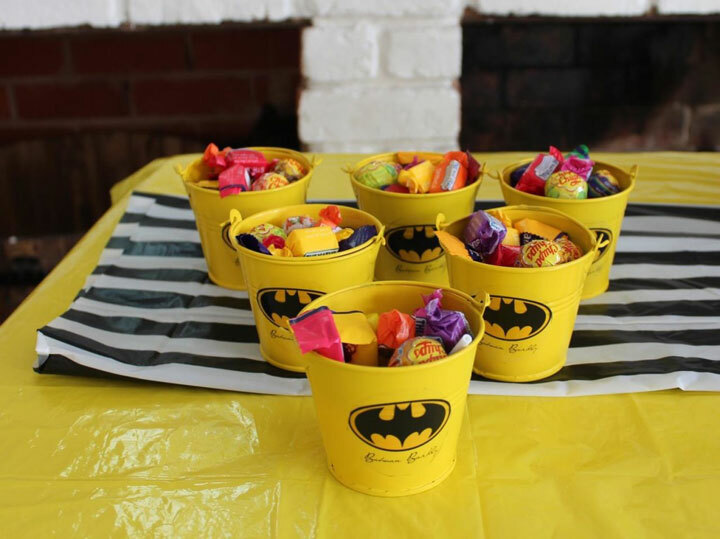 Feeling inspired to create a Modern Batman party for your child?